Sean is the Owner and Director of Operations at OPEX Baltimore. Sean is a devoted husband, a new father, and a lifelong athlete. Sean has been in the trenches coaching athletes since his collegiate rowing days. His love of helping others to refine technique for efficiency and effectiveness started when he coached for several local high school rowing teams in 2002 — eventually going on to coach two National Championship Collegiate Division 1 boats at St. Joseph’s University in Philadelphia. That pursuit of technical efficiency he valued in rowing has carried him to coach and compete in Crossfit, Weightlifting, Powerlifting and Endurance racing in the late 2000s through to present day. Sean’s passion is helping others find their place in the world of fitness, through refining and applying various frameworks focused on: Fitness Training, Nutrition, and Lifestyle. He also continues to enjoy exploring his own fitness, finding new ways to challenge himself as he transitions to a Master’s Athlete. 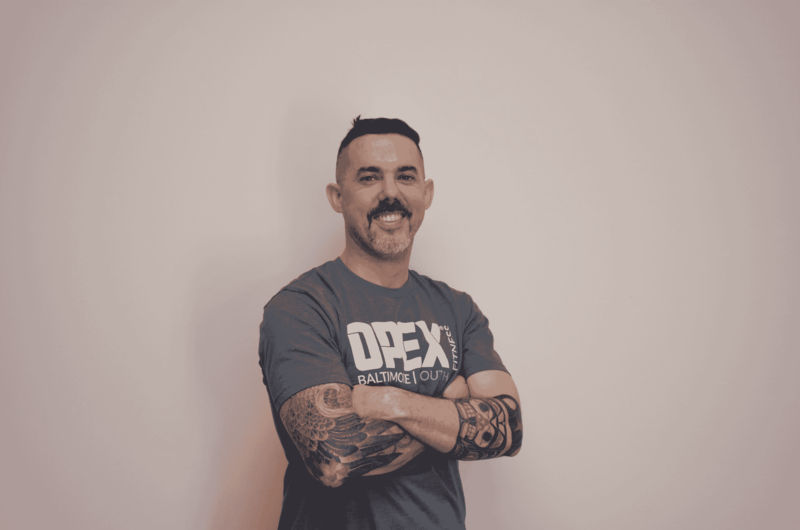 Sean has completed all OPEX CCP Level 1 Courses, is a Crossfit Level 1 Trainer, a USAW Level 1 Sport Performance Coach, USA Track and Field Level 1 Coach, and has completed: Crossfit Gymnastics, Mobility, Endurance, and Mark Rippetoe’s Starting Strength Seminar.